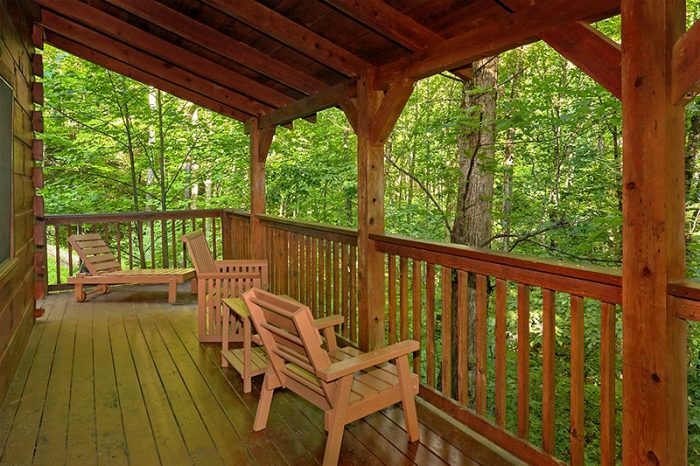 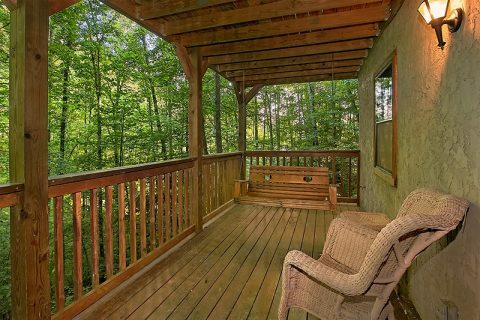 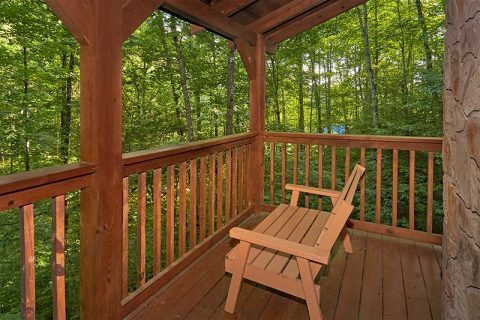 Searching for a secluded cabin rental in the Smoky Mountains? 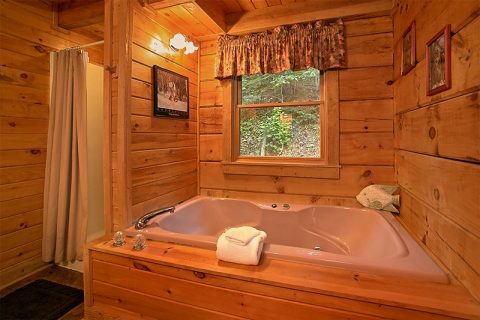 "Hunting Hollow Haven" offers a secluded Glades cabin rental next to the Glades Arts and Crafts Community Gatlinburg TN. 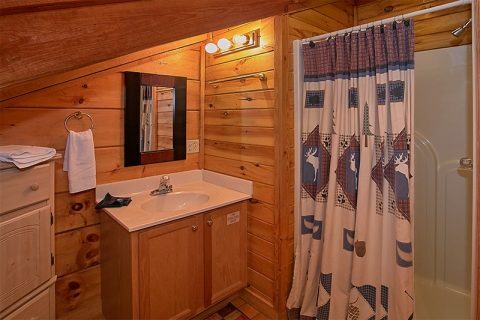 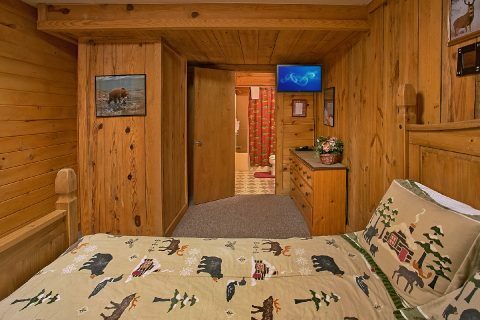 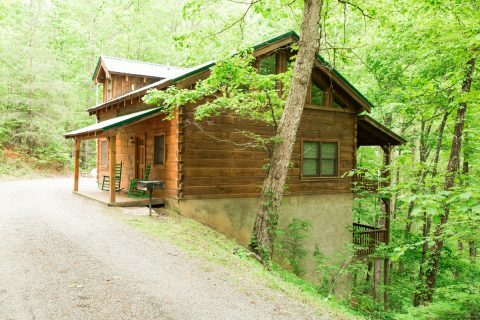 This rather secluded cabin rental features 3-bedrooms and enough space to comfortably sleep 8 guests. 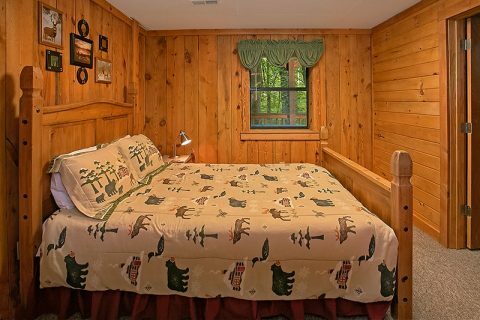 Altogether, this rental features 2 king bedrooms and a queen bedroom. 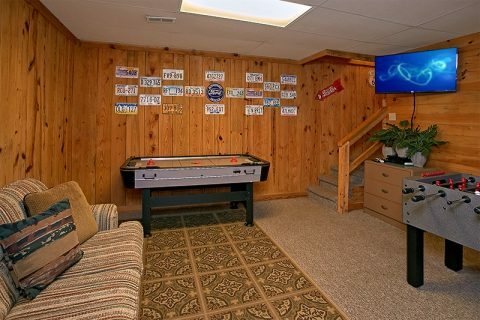 Additionally, there's a sofa bed in the living room for extra guests. 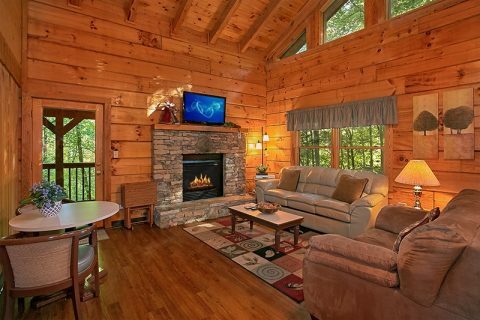 Stepping into this cabin's open living room guests are greeted by a cozy living room that features comfy couches, a television, and beautiful stacked-stone gas fireplace. 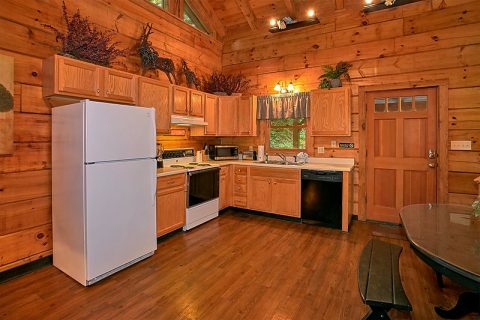 Nearby the corner kitchen provides a place to prepare meals to eat around your dining table. 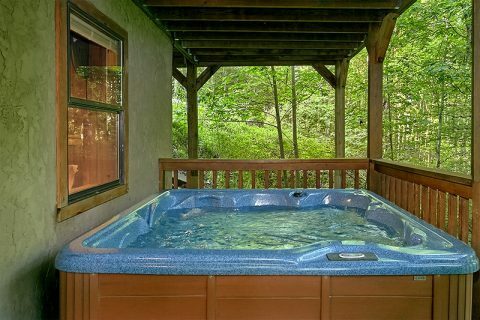 Outside, enjoy the mountain air from your private hot tub or with a fun family cookout on the charcoal grill. 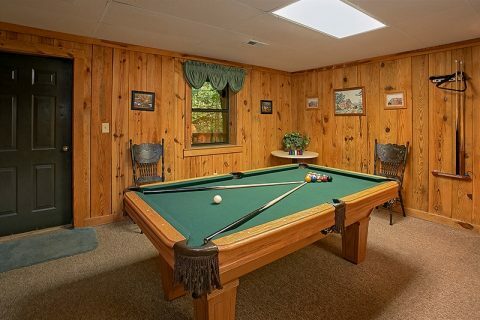 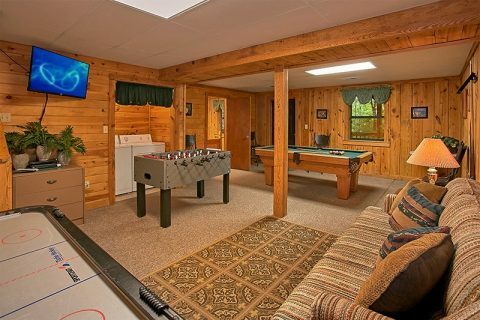 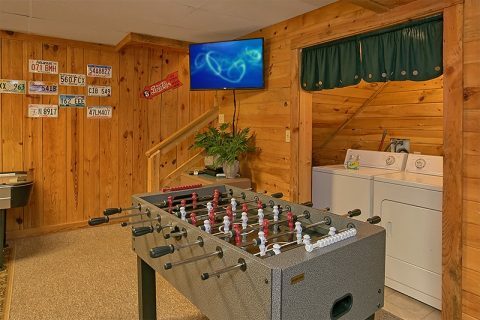 Keep the fun going in this Glades cabin rental's game room with pool table, foosball table, air hockey, poker, and board games. 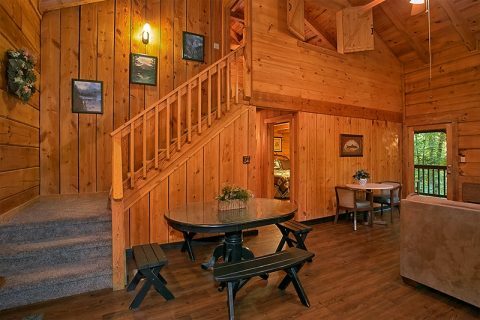 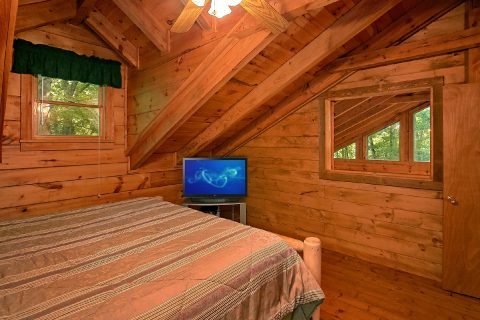 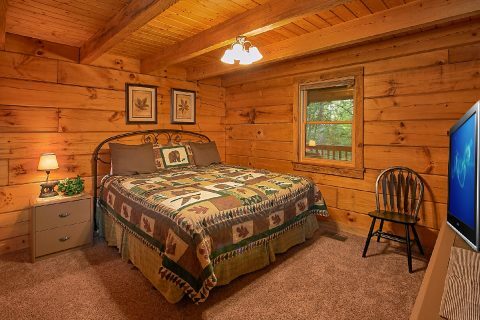 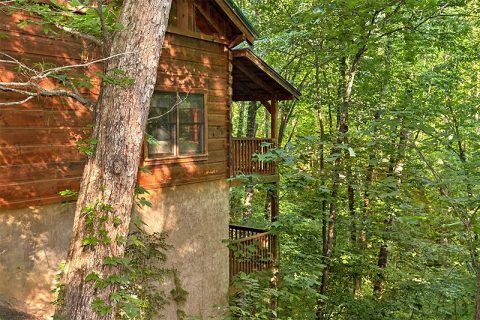 While most of us love a secluded cabin rental in the Smoky Mountain, "Hunting Hollow Haven" rests near the Glades Arts and Crafts Community Gatlinburg, TN, where you can enjoy local eateries and find unique gifts made by local artisans. 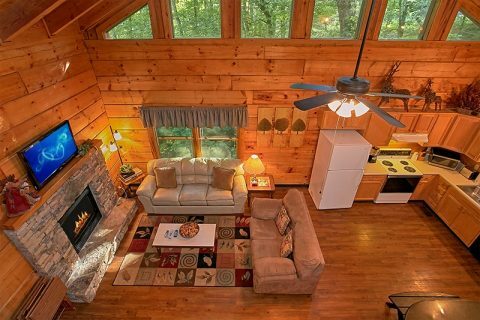 Your secluded cabin rental in the Smoky Mountains waits for you to explore the exciting Glades Arts and Crafts Community Gatlinburg, TN and more Smoky Mountain destinations. 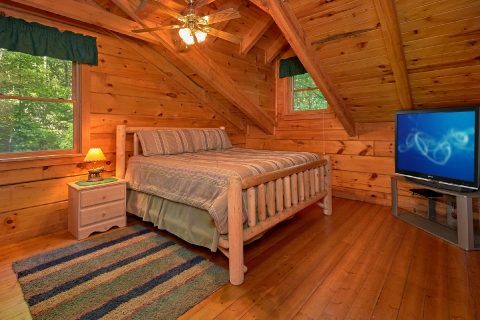 Book your Glades cabin rental online with Cabins USA for an immediate Online Cabin Discount!